Style is a new dynamic company with a long family tradition of craftsmanship. We design and create exclusive, personalised environments. We are able to realise innovative ideas, combining our experience with new technologies and great attention to detail. Our attention to detail throughout each step of the process, from the planning to the finished product, culminates in a primary goal: Customers 100% Satisfaction. Designing, building and installing home interior since 1995. We are a small business, still owner operated with a passion for home interior, which reflects on 99% of all our work coming from recommendations from previous clients. 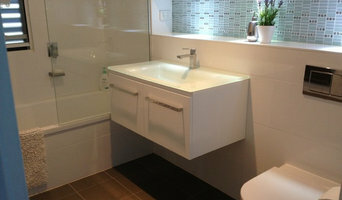 MiniKitchens Australia supply high quality Italian-made MiniKitchens. 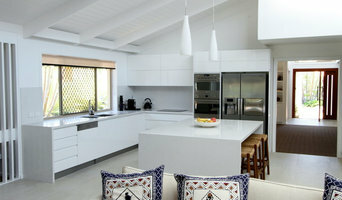 Our kitchenettes are designed to provide the perfect solution for small residential and commercial spaces in Australia. We specialise in commercial fit outs as well as architecturally designed custom built cabinetry. We service all South East QLD regions. With over 20 years of experience in cabinet making, we are dedicated to our work and pride ourselves on our quality and service. From the initial consultation right through to the final installation we strive for excellence. We Manufacture & install high quality joinery with all trades provided and project managed including supply and installation of appliances. We have the best design & manufacturing software available on the market which allows an absolute custom fit to your space and with full 3d viewing in the exact colours your job would look like prior to manufacture. SkandiFORM offers a personalized service from design to installation and attention to details. We have extensive experience in all aspects of design and color coordination with a Swedish touch. We are one of Australia's leading kitchen renovations Service providing Company based in Gold Coast.Our furniture has a character that is extraordinary to SkandiFORM. Get What You Expect! I will spend as much time needed to make sure that everybody is 100% sure of what they are getting. I have never built anything and been told that that is not what they were expecting. Peace Of Mind Guarantee Verbal guarantees are not worth much. I will give a written 10 year guarantee on all workmanship. Fixed Prices on Trades I understand that in this day and age most people are very busy and are time poor. So I can offer to have all the other trades involved all included in my fixed price quote. Or I can work in with some of your own trades as well. Manufactured by us Unlike others, all of our cabinets are manufactured in my factory at Capalaba and are completely set up so we know that they are all perfect and will fit your home to perfection. Only Pay When You Are 100% Happy Unlike most competitors, GJ Cabinets only requires a 10% deposit on acceptance of the job. I do not require any other payments until the job is 100% complete in your home and you are happy with it. And Finally My Word! I personally inspect every job when it is finished. Even if you are happy with it, if I am not I will rectify any issues that you may not have picked up. 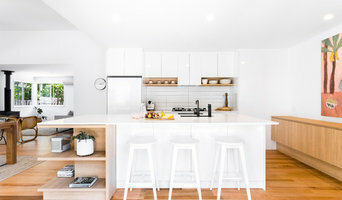 Incredible Kitchens and Joinery specify for your unique requirements and budget with custom-made cabinetry and bench tops designed to fit your space, we provide the ultimate kitchen design service. Everything from quality design, precision manufacture, and careful installation, will have your new home or renovation project looking and feeling exactly how you dreamed it. We’re so confident in our workmanship we offer a industry leading 10 year product and workmanship warranty, this gives you peace of mind and provides a great selling point and reassurance should you wish to sell your home. 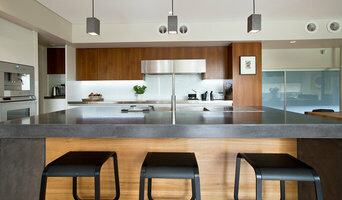 This is why Incredible Kitchens has become Brisbane’s trusted kitchen company. Get what you really want, without streching your budget.